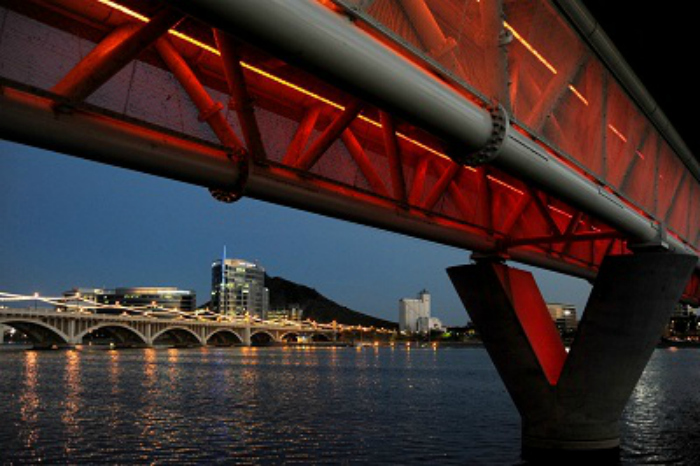 The electric vibe of Tempe, Arizona fits the town, home to Arizona State University. Located only 11 miles east of Phoenix, Tempe stands on its own. A wide variety of dining options, outdoor adventure and unique shops in the Mill Avenue District create a backdrop for family fun in Tempe. Museums, parks and zoos provide a variety of options to create great family memories. 1. Shop Local | 3:00 p.m.
Soak in the youthful vibe of the city as you shop in the Mill Avenue District. Sneak a sweet treat at Candy Addict to fuel your stroll through the District. Enjoy local shops, like DIVAZ Boutique and The Shoe Mill, which offer fashionistas diverse options. Unique Beautique provides hand-crafted gifts — like ETSY with walls — a perfect source of unique souvenirs for friends and family back home. Top off the visit with a Mexican popsicle from Paletas Betty. 2. 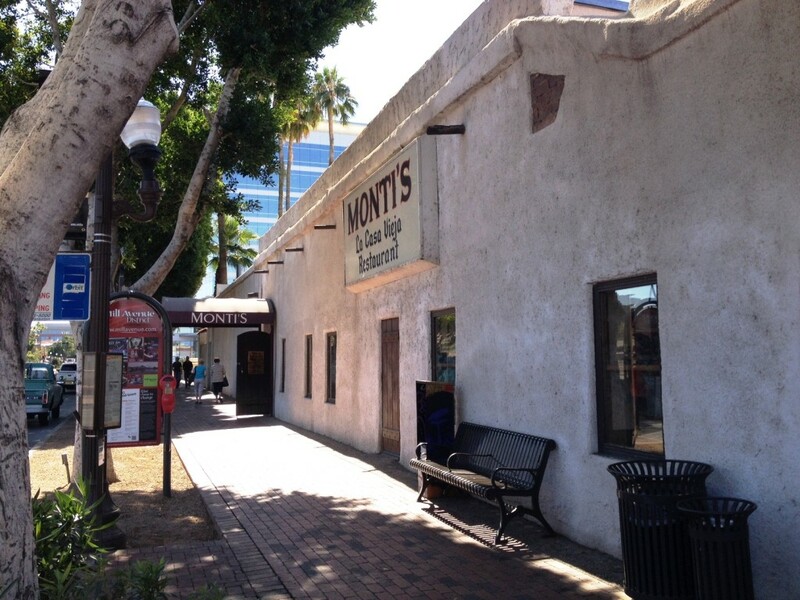 Dine in History | 6:00 p.m.
Monti’s La Casa Vieja, located at the north end of the Mill Avenue District across the street from “A” Mountain, serves perfect steaks in the original adobe hacienda built by Charles Trumbull Hayden in 1871. The decor preserves the history of the area within the warren of cozy rooms where diners enjoy reasonably priced, excellently prepared dishes. 3. Catch a film at Harkins | 8:30 p.m.
Harkins Theater, one of a family-owned chain of theaters, plays IMAX and first run movies in its award winning theaters. Kick back and relax in air conditioned comfort. 1. Climb “A” Mountain | 8:00 a.m.
“A” Mountain, so named because of the 60′ tall “A” placed there by Arizona State University students, is officially Hayden Butte Preserve Park. 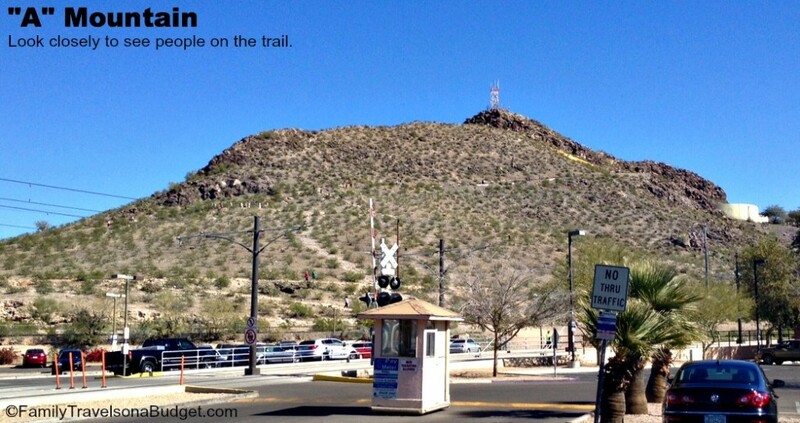 The 25 acre park offers great views and a switchback trail to make climbing easier. The historical significance of the mountain has been designated as a protected preserve. Climb early to beat the heat! 2. 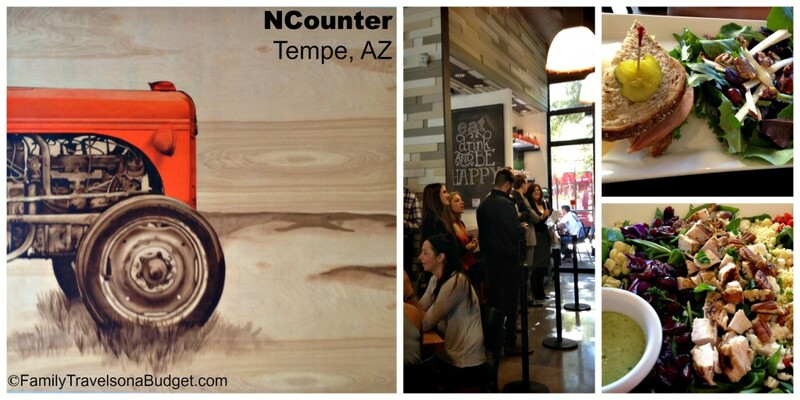 Enjoy brunch at NCounter | 10:00 a.m. This independent restaurant at 310 South Mill Avenue is conveniently located across the street from “A”Mountain. NCounter’s menu offers fresh, creative dishes certain to satisfy hungry bellies! Wonder if it’s good? Well…. lines out the door suggest YES! Located in Arizona Mills, the Sea Life Museum offers hours of entertainment in air conditioned comfort. Interactive displays are educational and entertaining. Purchase tickets online before your visit for greater savings. 4. Tempe Marketplace | 5:00 p.m. Spend a fun evening at Tempe Marketplace offering a great variety of restaurants, entertainment and shopping. The splash pad, open until 11:00 p.m. daily, gives kids plenty of space to use up the day’s energy while parents relax so bring swimsuits and towels. Before heading home, stop at either the Desert Botanical Garden or the Phoenix Zoo, both great for morning exploration. The Desert Botanical Garden offers acres of desert landscapes and mountain views, road runners and rabbits, and much more. The Phoenix Zoo, which offers limited hours in the summertime, is consistently ranked as one of the top five kids’ zoos in the country. This college town offers a wide variety of lodging options, from budget camping to four-star hotels, from budget rooms to expansive suites, certain to meet any family’s needs. Hotel rates change with demand, so schedule a stay when the University isn’t busy to save on your stay. Move-in weekend, graduation weekend, Homecoming and home ball games increase hotel demand (and crowds), so visit Tempe another weekend! Only 5 miles from the Phoenix airport, Tempe is a quick 9 minute drive from the airport. Car rentals are abundant, and all companies are located in the same facility. 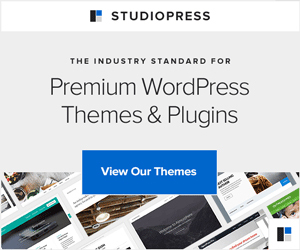 Shop around for the best price. Summer in Arizona is hot and many outdoor venues close during summer afternoons, so keep that in mind when planning your trip. This itinerary is summer heat friendly. Winter in Arizona is usually quite pleasant, though evenings are much cooler. Pack a medium weight jacket for winter evenings. My trip in February coincided with the three days where the high temps never broke through the 50s. It’s rare but it can happen so be prepared. 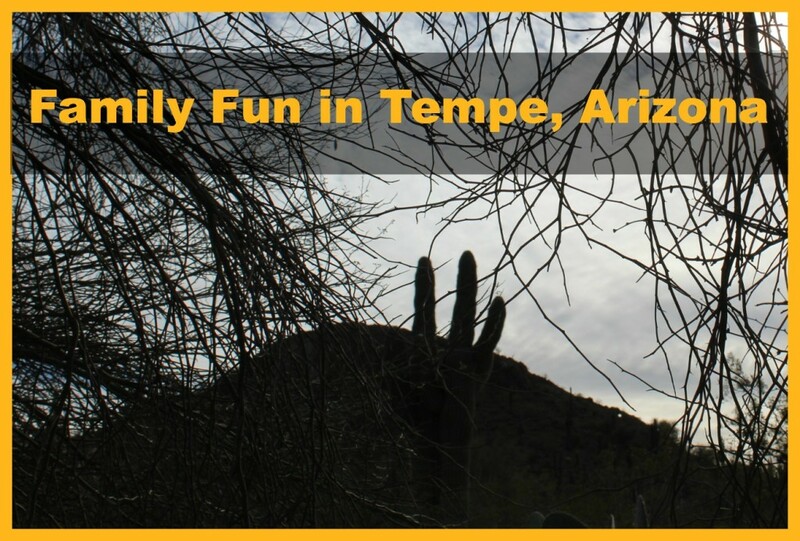 Whenever you go, family fun in Tempe is guaranteed. The city’s energy and friendliness make that an absolute given! Have you been to Tempe? What’s your favorite thing to see or do? We’d love your family fun recommendations! Tempe looks so nice – we visited AZ but I would love to go back and see more of the state. Tempe looks liek one of those places. Thanks for sharing. My next Arizona trip will have to include the Grand Canyon, but I would seriously consider flying into the Tempe area and driving up to the Canyon. There’s just so much to see and do. It’s a neat place! I am glad I am not the only person who gets amazed by bridges. We had to go see some neat ones on a Girls trip to Little Rock. To be honest, I was surprised to see bridges in Arizona! Seriously. Isn’t that the funniest thing? Tempe seems to be a great place and thank you for sharing your wonderful experience and photos, I like the view of that bridge and also of the small mountain. The small mountain just pops up out of the ground. It’s amazing to see a city built around it. I had to fight with myself to keep my eyes on the road/traffic and not stare at the mountain when I first saw it. Arizona looks gorgeous! I have never been and would love to visit. This was my first trip to Arizona. We were sad to board the plane and come home. Friendly people. Sunny skies. Incredible landscape. I definitely need to plan a return trip!